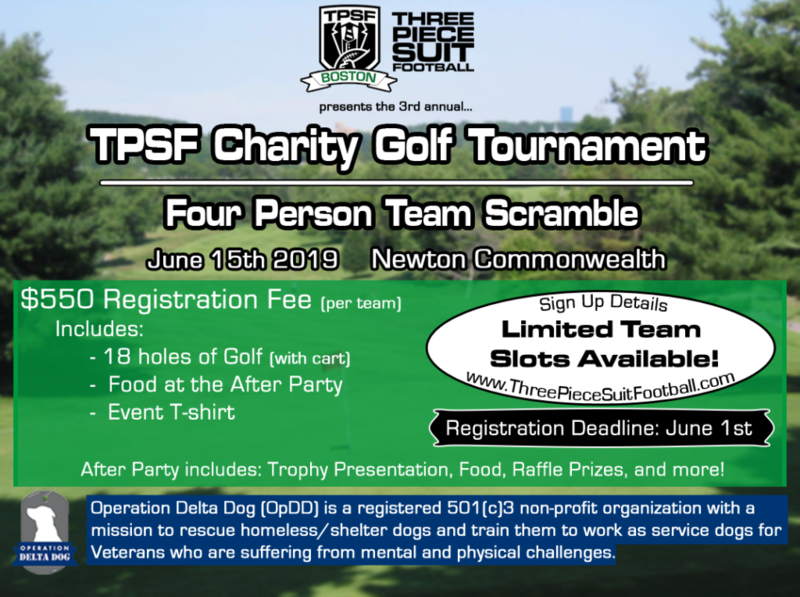 TPSF Boston is having our third annual golf tournament at Newton Commonwealth on 06/15/2019!! Tee times starts at 10:00 AM SHARP! The registration fee is $550 per 4 person team ($137.50 per person). Holes can also be sponsored as well! Click here to purchase event tickets! This price covers a team photo, player t-shirts, 18 holes, a golf cart and food at the after party at the Last Drop! There will be a “10 for a G” Raffle, Trophy Presentation and many other Raffle Prizes at the Last Drop after the tournament. All proceeds go to our charity Operation Delta Dog! Good luck, and thank you for being part of such a great event and donating to an special cause!